What do you think skilled content marketers should know to improve their business productivity in this cutthroat marketplace? By skilled content marketers, I mean someone who holds significant expertise in using the latest resources and tools along with the customary marketing programs to boost their business revenue amidst this tough competition. Before answering the question, it is important for you to know the content marketing strategies used by other skilled content marketers to see if your tactics are effective enough to drive sales to your business. 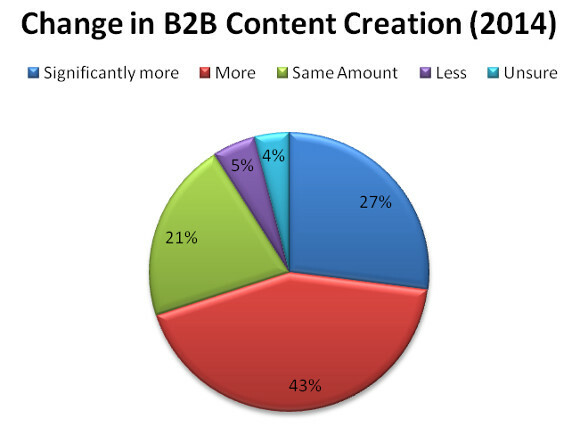 As per the data collected on the strategies used by content marketers in 2014, you will be surprised to knowthat more than 70% of content marketers created more content in 2014 than in 2013. 42% of marketers publish new content several times a week or even multiple times per day. Although great content marketers know different essential content marketing ideas for taking their businesses to new high levels, the most important thing is to steal from them only those effectual ideas that are required for replicating their successes in your own business. After going through vast research on different successful content marketing ideas used by reputed and established online businesses, I have selected the best 10 content marketing ideas. You can see right now to improve your business presence on the internet. Social media has become the key consideration when devising content marketing strategies for an online business. With the expansion of social media popularity in the past few years, using these platforms for the correct execution of content marketing strategies will definitely ensure success with better outcomes. For reaching your target audience, it is necessary to post your content at the place where they spend most of their time. Social media platforms are the best mediums to use for promoting your content effectively. 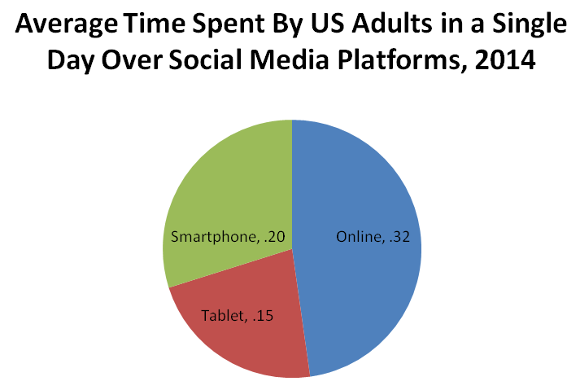 You can see that in a duration of 67 total minutes online (1 hour 7 minutes), US adults spent a total of 35 minutes on social media platforms using mobile devices. 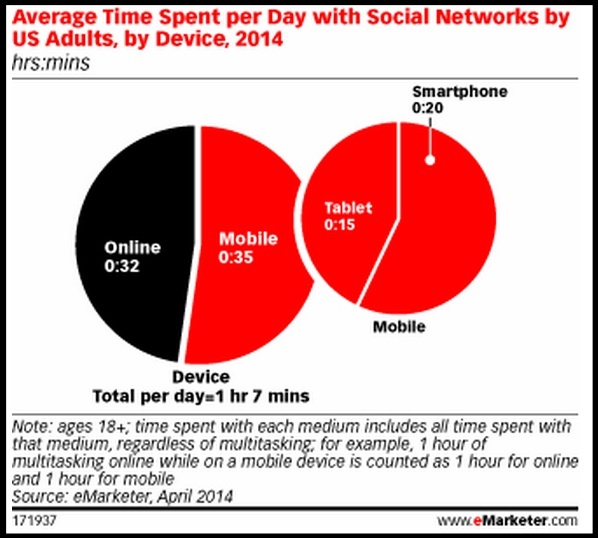 This gives you an idea how much time is spent by internet users on social platforms while remaining online through their mobile devices. Hence, it is necessary to devise your content marketing strategy for all social media platforms and devices individually to improve the effectiveness of your content marketing. Sending newsletters with important information on a regular schedule is one of the best content marketing strategies to implement in any business. You can make your target audience aware of your newly launched products, services, offers, and discounts through email newsletters. With the increase in the use of Smartphone and tablets for using the internet, it is important to customize your newsletters so that they are viewable on all different sized screens. Research shows poorly formatted email is immediately deleted by users. They do NOT open email messages again when they return to their desktops or laptops. You can also start email campaigns to make your content reachable to your target audiences. For example, if you have 1K subscribers to your newsletters, you can drive these 1K subscribers to your website by emailing them your latest published articles and offers. The most accepted content marketing strategy by all great content marketers is to place high quality content on their websites so that they rank higher in search engines. As a content marketer, you should focus on the quality of content posted on your website. Enhance readability through the use of white space and altering the size of the paragraphs used in the content. Use keywords in sub-headings correctly for better readability. Always make sure to use bullet points to mention some important information in your content to make it noticeable by the visitors. If you pay proper attention to these things while posting content on your website, you will surely increase the ranking of your website on popular search engines. High values videos can be used for creating engaging content without the friction some consumers of your content feel about the written word. Post videos on your website related to the use of your products and services along with feedback and testimonials by your previous customers. This will increase the impact on the purchasing decisions of your target audience. 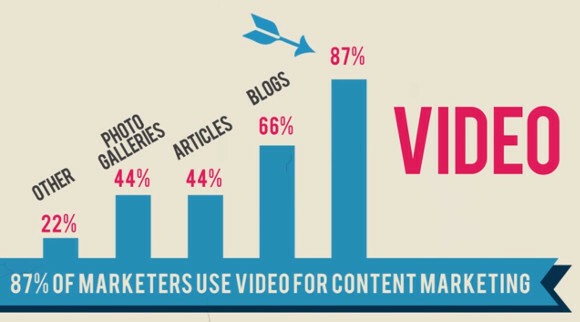 Using videos to represent content instead of writing is a helpful content marketing strategy for ensuring success. Infographics have increased in popularity owing to their interesting way of representing factual information in a short, precise visual way. The use of infographics is an effective content marketing strategy. Distribution can be tailored to significantly increase visibility, guaranteeing the success of your business. You can use influencer outreach to enhance the reach of your infographics among your target audience. Click this image to see the entire infographic at UnBounce. People are more interested in pictures and graphics – and they absorb the information more readily than in the textual form. Use graphics and photos more in your content to make it appealing and interesting for the visitors to read. If you use photos intelligently in your content, you will definitely improve user engagement which is necessary for generating conversions and leads. Webinars or Webcasts are epic pieces of content that you can use for maximizing revenue through your online business. You can conduct webinars by inviting important influencers across the globe to share their valuable information within the webinar, which in turn will help you in promoting your business on an expanded horizon. You can also design targeted post-webinar emails to reach your target audiences based on the valuable information acquired through the webinar. The only difference between webinars and webcasts is that webinar are typically held for only 100 people whereas webcasts will focus on thousands of groups to reach a maximum targeted audience. As a genuine content marketing tactic, ebooks suit the requirements of all types of businesses that have to communicate their information in a digestible way to the reader. Presentation of content in the form of ebooks offers a comprehensive way of preparing a business case and also provides an opening pad for marketing content. Have you noticed that the bigger brands create stories? The effectiveness of storytelling will work as a magical content marketing strategy for your business. Not intended as a selling tool, storytelling helps in developing stronger bonds with customers. Business storytelling is a completely different concept of content marketing that leverages well-designed narratives in a varied range of content types. It effectively supports businesses by helping them to connect with their listeners and readers, motivating them to come back to their websites, thus enhancing the percentage of conversions. As a short term promotional campaign, microsites can be used as a helpful content marketing strategy as it helps in narrowing the focus of your target audiences by offering them a simple and task based user experience. 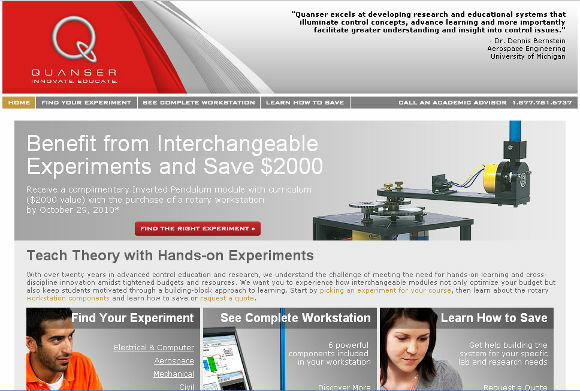 For example, Quanser has created a microsite with a clean user experience. It has specific sales goals for a limited time period that has a definite goal of motivating professors to buy certain products. Using a microsite as a content marketing tactic requires the creation of a perfect redirect strategy to implement when the microsite will be taken down. Now you have ten content marketing strategies for 2015 that you can implement right now. Redesign your company’s content marketing plan to better accomplish your business objectives. The selection of the strategies you use will depend upon how you wish to reach your target audience. To emerge as the true winner of this competitive environment, integrate these tactics carefully. I recently opened a tanning salon and I am looking for marketing ideas. Id really appreciate any ideas that might help bring customers in. Thanks! For local businesses, you should focus your efforts on connecting with people in your geographic area. If you have some money to spend, you can target ads on Facebook to people within x miles of your location who are interested in particular things. For example, you could target people within 25 miles who like bikinis or beaches or anything else you can think of related to tanning. I agree with how important having a high-quality content. By this, many people or audiences will trust or read it and share to other people. Mostly, putting the keywords correctly can consider as a high-quality content. These tips really gave me a larger ideas. 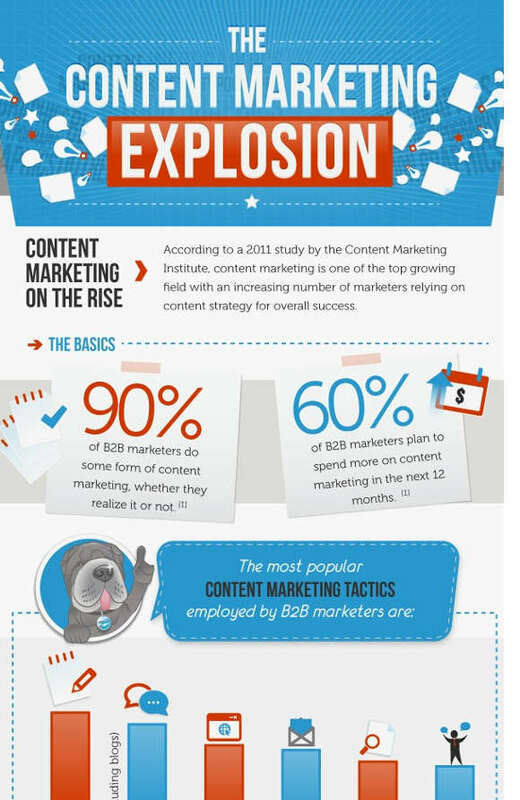 Thank you for posting this blog and sharing this information about content . we know content is the king . content is a unique part so create a better and unique content for posting. Great article and informative, these are really actionable tips to make unique and quality content, thank you for sharing this….. Thank you for post this blog and sharing this information about content really nice article. E-mail marketing is most important to online marketer.I think that this is very useful content marketing ideas though which every one can get maximum benefits.and i agree with all points, info graphics and quality content are the important aspects. Nice article, email marketing is most important to online marketer.I think that this is very useful content marketing ideas though which every one can get maximum benefits. I find that storytelling is really underrated. People are bombarded with information every day but a good story that provides incredible value and insight while resonating with people is the most likely thing to be shared and commented on. You’re right. And stories work on all kinds of people, even introverts like me who don’t read fiction or care what some celebrity is doing. Hey thanks for all the ideas Jyoti. According to me i should concentrate more on point #3, because qaulity content keeps users visiting again and again and also get the good traffic. Great article – I found #10 to be interesting and I will look into microsites. I am always looking at new marketing strategies to get ahead of all the new changes being made to website ranking. You have shared some very useful content marketing ideas though which every one can get maximum benefits. I was surprised with the fact of high influencing of video in marketing. According to the stats in this post using video makes sense. Generally this is well written article that is worth reading, recommend. The info-graphics are pretty cool and informative. I personally believe that today’s marketing is mostly relayed on social media. and if you use social media for marketing then you have to use unique and nice graphics and videos.